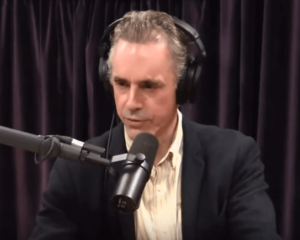 Has JORDAN PETERSON had a Hair Transplant? Clinical psychologist Dr. Jordan Peterson shot to fame in 2016 with his criticism of the Canadian Government’s C-16 Bill. This controversy drew attention to his Youtube lecture series on topics such as religion and the mind. He’s also published a book, 12 Rules for Life, one of which is “Tell the truth – or, at least, don’t lie.” But has this unlikely celebrity violated his own rule? Has Jordan Peterson lied about having a hair transplant? Since the beginning of the decade, Jordan Peterson has been a regular guest on The Agenda with Steve Paikin. In these interviews, he discussed topics ranging from atheism to gender identity. The images here are from a couple of 2011 discussions, The Meaning of Man and Advertising Atheism. In these discussions, you can see the Dr. Peterson is losing his hair at the temples slightly – something perfectly normal for a man of around 50 years of age. On the Hamilton-Norwood scale for male pattern hair loss, he would be around a Norwood stage 3. 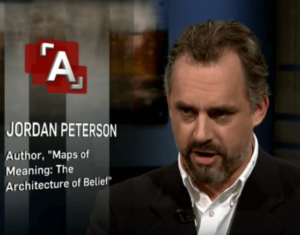 Then, starting in 2013, Peterson began uploading his lectures at the University of Toronto to Youtube. As well as providing a fascinating insights into psychology, myth and religion, these lectures also provide an insight into Jordan Peterson’s hair line. It’s clear that Dr. Peterson is suffering from androgenetic alopecia (male pattern hair loss), a condition that affects roughly 70% of men at some point in their lives. Peterson continued to upload his lectures to Youtube over the coming years. But his popularity really exploded in 2016 with his criticism of the Canadian Government’s C-16 Bill. He expressed concern that the bill’s compelled use of non-binary pronouns such as “zhe” and “zher” created a slippery slope toward authoritarianism. 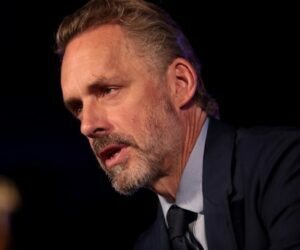 The controversy which followed from these criticisms also drew attention to the rest of Peterson’s work. He became a popular figure online, with many people – particularly young men – crediting his talks for helping them turn their lives around. In this interview, you can see that Jordan Peterson has a perfectly straight Norwood 1 hair line. He shows no signs of hair loss. So how did he manage to reverse his hair loss so dramatically? Dr. Peterson has alluded to his hair gains on the Joe Rogan podcast. But instead of a hair transplant, Jordan attributes his transformation to an all-meat diet. He says he was suffering from an unspecific autoimmune disorder which was completely reversed with this diet. And there might be some truth to this claim. First, there is a plausible link between hair loss and refined sugar – which is practically non-existent on an all meat diet. But the key point here is that “he did not regain what had been lost”. With pattern hair loss, it’s much easier to maintain your hair than it is to regrow it once it’s gone. But that’s exactly what Dr. Peterson appears to have done. And looking at the Cathy Newman interview, his hair line appears to be very straight – almost too perfect. But perhaps this can be explained by Channel 4 hair and make up? In other videos, for example the Joe Rogan experience (above), his hair line appears more natural. Either way, Jordan Peterson’s hair loss has dramatically reversed since his earlier Youtube videos and interviews from 2011. But was it a hair transplant? Comment below what you think! Next post: Can Aspirin Stop Hair Loss? Clearly, Dr. Peterson has had htp. My 35 years of being on the frontlines of hair loss study drew my eye to his hairline the first time I saw him on video. His hair is naturally wavy and the posterior region where hair is moved in an ht procedure can be different than the frontal hairline. He often styles his hair straight up and back, which is not as flattering as it shows a strong line of demarcation between hair and forehead. As in his earlier photos, there is a ‘blur’ at that point. When he does allow his ht hair to fall forward, it is more flattering as it is less abrupt in the transition. Now, to complete his transformation for the closeups he is subject to, he needs to get some teeth work! (Must be that stubborn English heritage that makes one think crooked yellow teeth are OK). I am a huge fan of his and hope he’ll read my new book: HairLossDossier..The Big Lie on Causes, Cures, Treatments and Scams on Amazon.